The educational department is a structural unit that provides planning and organization of the educational process on the basis of the state educational standard, the laws of the Kyrgyz Republic “On Education”, the laws of the Ministry of Education and Science of the Kyrgyz Republic, the decision of the Government of the Kyrgyz Republic. The department conducts its activities on the basis of the Regulations on Higher Education Institutions, the Charter of the LASU and the Regulations on the Department. The department, in conjunction with the structural units of the university, oversees the educational activities of faculties, departments and colleges. The work plan of the training department is drawn up on the basis of the approved work plan of the JASU. The rights and duties of the head and staff of the training department are approved by the rector in consultation with the vice-rector for academic affairs and the decision of the Academic Council. The training department provides information about the results of its activities to the rector, vice-rector for academic affairs at the administrative and Academic Council of the ZhASU. The following leaders contributed to the improvement of the educational process: A.Karimov, B.Orozbaev, E.Satkankulov, U.Kudainazarov, M. Babakulov, A.Egemberdieva, C. Ismailova, Z.Azhibaeva, K.Uraimov. Since September 2016, the academic department is headed by Dr. Sc., Acting Professor. 6. 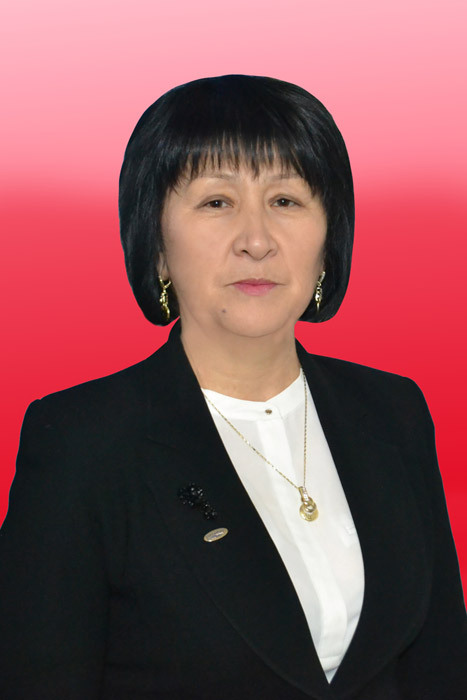 Engineer programmer – Temirbayeva Gulnara. 1. Organizes the educational process in Zhagu and aims to improve its effectiveness. Performs work in accordance with the requirements of the regulatory documents of the university, the decisions of the Academic Council of ZHAGU and the instructions of the vice-rector for academic affairs. 2. Provides approval of the training process schedules, class schedules, summer and winter session schedules, and independent work schedules compiled by the departments and deans. 3. Controls the transfer of students from course to course, deductions from the university, the provision of academic leave, documents transferred from other universities, students. 4. Controls the progress of the examination sessions, LAZ, the organization of the SSC and the order of their work. 5. Checks the distribution of academic workload of teaching staff, staffing and staffing. 6. Ensures the timely conduct of classes and, in case of a breakdown of classes, takes appropriate measures. 7. Analyzes the activities conducted by the departments and mutual attendance of classes. 8. Develops new forms of blanks of documents, orders to the printing house and provides them with faculties, departments and colleges. 9. Participates in clarifying the number of students for the new academic year. Determines the total number of university students, the movement of students for the academic year and prepares appropriate analytical proposals for the rector and vice-rector for academic work. 10. Conducts an analysis of the implementation of theses and term papers of students and their results. 11. Checks the correctness of filling out academic certificates issued to students, retiring from the number of students and registers them.